There’s certainly no short supply of coverage for the Summer Wonder Festival that just finished up. Wcloudxkumo has a nice summary of the new and upcoming figures that were on the display. 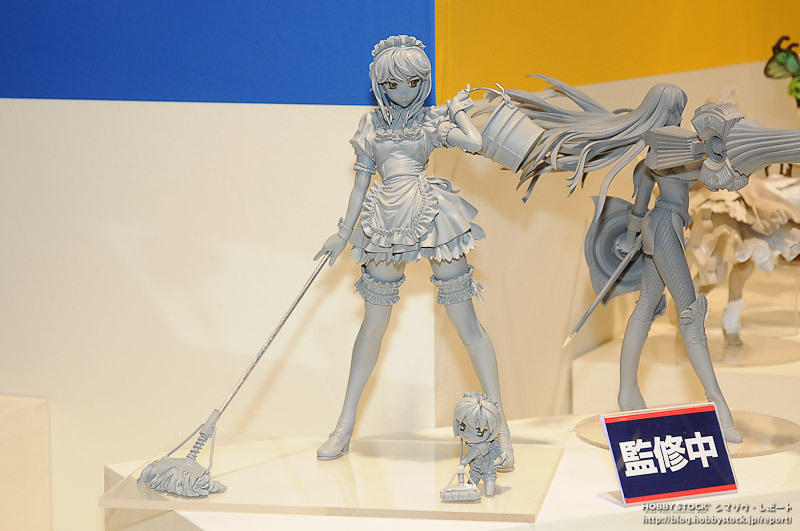 Tons of awesome new figures on the horizon ^^. We all knew this was coming ^^. K-ON! 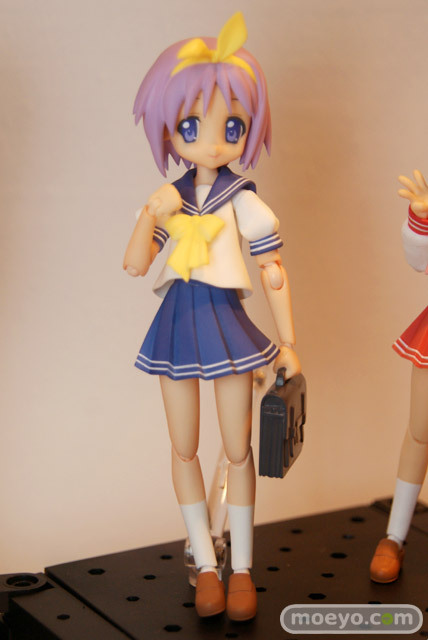 was absurdly popular and the inevitable Nendoroids of the four girls were displayed. They’re not jump-off-the-screen cute but they all look good, a very likely get for me. There are also pics that Mio is sporting her shima pantsu ^^; I believe reservations for Mio and Yui will begin in a few days. Finally, some Minami-ke Nendoroids! Chiaki looks pretty cute here in her mostly expressionless face ;) I hope the other Minami-ke characters are forthcoming in their own Nendoroid forms. Scheduled for December release. 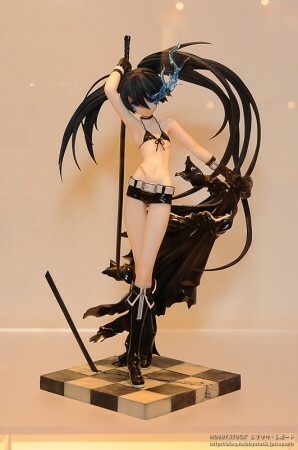 A new Black Rock Shooter figure by GSC. I didn’t reserve the first BRS figure that’s due out in August and I’m not sure if I regret that or not. This is mostly the same figure but with her sword instead of her Rock Cannon. Also, her jacket is off. It’s pretty hot ^^; Since I didn’t order the first version, I just might be tempted into getting this one. No price or release date (that I was able to find). Now here’s some good stuff ^^. 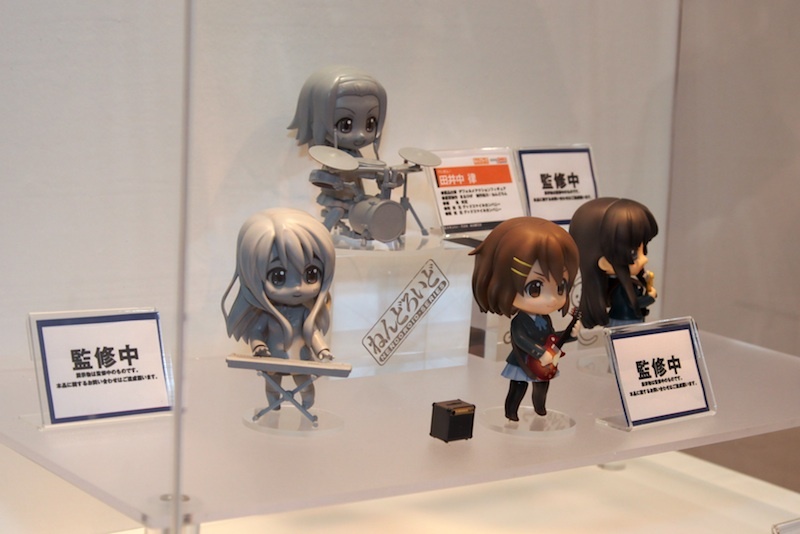 1/8 scale K-ON! figures by Alter. 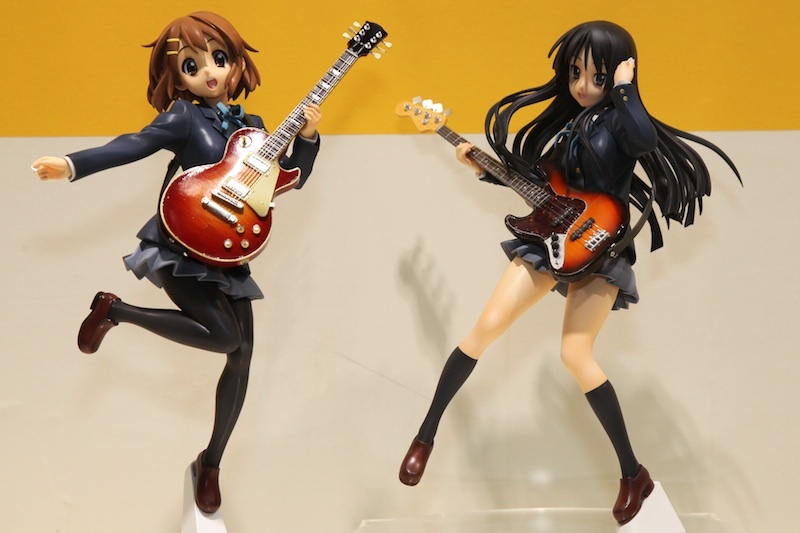 Given the popularity of the K-ON! series there is no doubt we will be seeing many figures of the girls but to have Alter start things off is a good sign. Mio and Yui are first up and look energetic and cute in their school uniforms and with their instruments (which look amazing). Quite tempting. 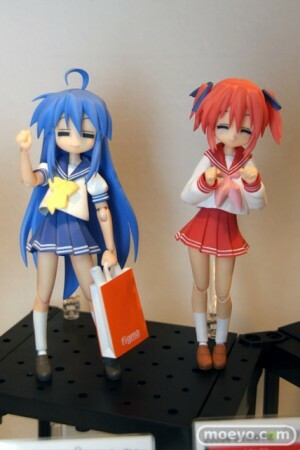 Both are supposed to be released near the end of the year but no prices have been announced. 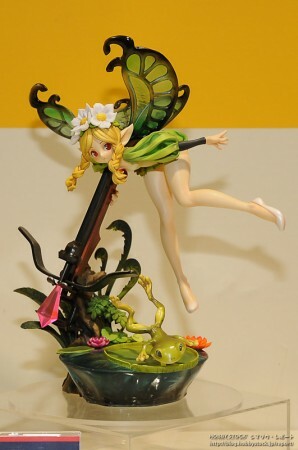 1/8 scale Mercedes from Odin Sphere by Alter! I’ve been watching this figure for a while. The previous unpainted photos I had seen were promising and now the painted PVC version is arriving. 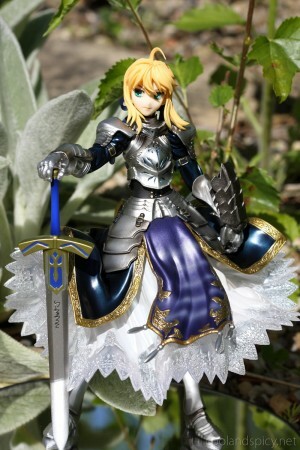 The Alter Gwendolyn that matches with this figure is absolutely stunning and I expect this figure to be the same. Due out by end of year, no price yet. Yes, yes, and yes ^^; Here is Aisaka Taiga in 1/8 scale by Wave. 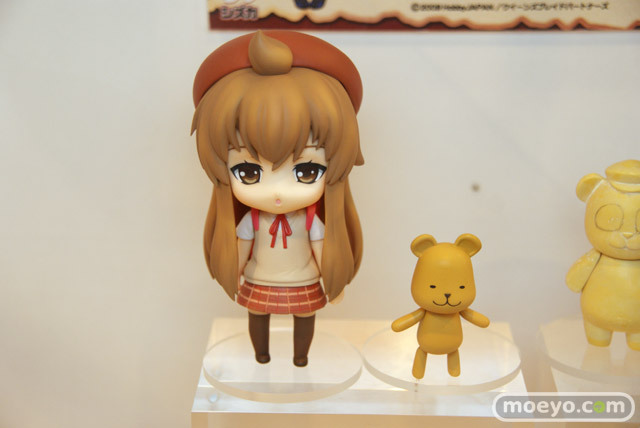 After watching Toradora, I’ve fallen in love with Taiga so I’m very interested in this figure. She is wearing her angel outfit from the school festival. 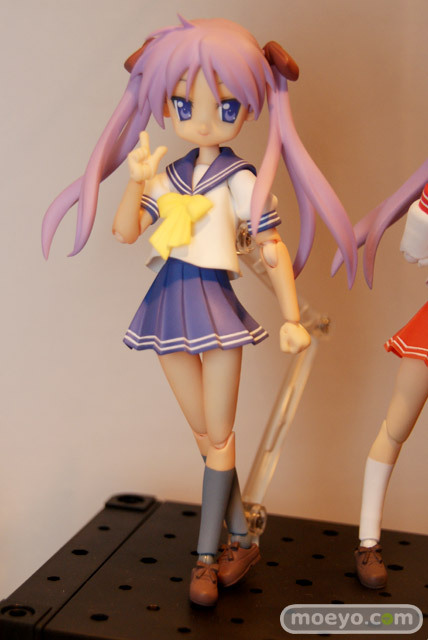 Just based on the unpainted concept model, I like it. 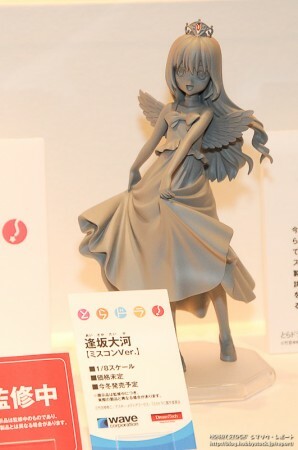 If the final, painted version turns out anywhere near as good as I expect, this will be a must get figure for me. No date or price yet.